Direct Line Staff | The lowest rung in mental health care. A supervisor once told me that I can “build rapport with just about anyone.” It was the kind of off-hand comment that reveals something that’s always been there, but makes you aware of it perhaps for the first time. Building rapport is something that comes naturally to some and is more of an effort for others. Regardless of where you fit, learning about a subculture and/or identifying tools you can leverage will help you reach a wider range of clients. Author Sherman Alexie provides both excellent insight into the Native American experience and several great tools for working with native kids. Alexie is kind of a David Sedaris for Native Americans. He’s witty and funny, sometimes darkly so. He’s the blues for Indians. There is so much sadness in the collective history of the Native American, yet he manages to not turn each tale into a sad song. Alexie doesn’t play the victim and nor does he pull punches with his observations of Indian life. He just tells it like is. This is why I recommend that caregivers who work with native populations become familiar with his work. It has been a great way to relate to kids in treatment, and can also open one’s eyes to the disadvantages they face. Movies are an easy entry point to literature, and in this case, culture. So start with Smoke Signals. 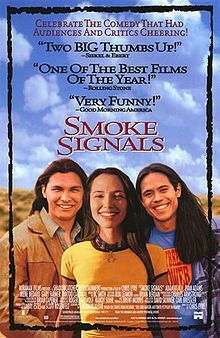 Smoke Signals follows Thomas and Victor as they grow up on the reservation. They are not friends, but they are often companions, stuck with each other as much as they are stuck in the dysfunctional world of the reservation. Equal parts sadness and droll humor Smoke Signals can give you understanding and material to work with to build rapport. Smoke Signals starts slowly and grows on you. And, much like Napoleon Dynamite, there are many lines teens recite later. 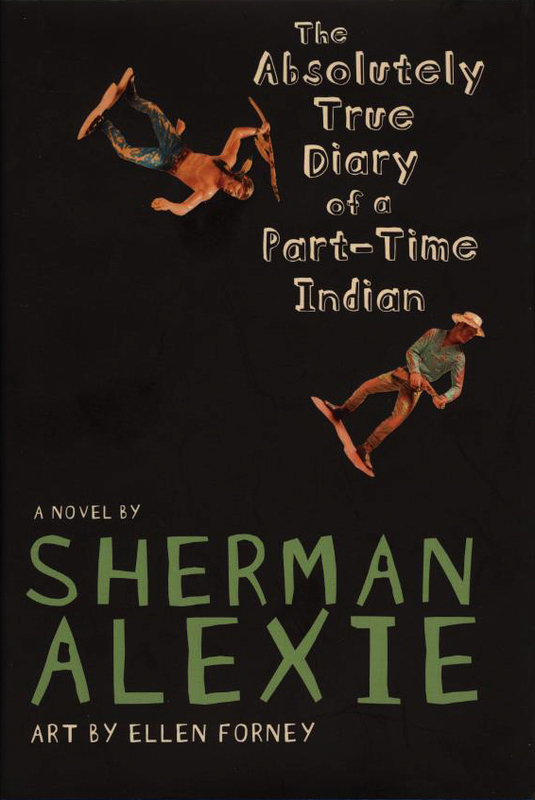 The Absolutely True Diary of a Part Time Indian is another Alexie work great for native kids. Like Judy Blume did for suburban white kids by acknowledging divorce and sexuality in a manner not threatening to children, Alexie does the same for native kids addressing the social issues that so frequently define the Native American experience. Alexie explores racism, alcoholism and tribalism through the eyes of Arnold Spirit Jr. as he decides to attend high school in the predominately white town to break free from the cycle of poverty and despair of the reservation. An outsider in his new school and a pariah on the reservation, it’s not an easy journey, but ultimately hopeful. And, like so many of Judy Blume’s books, Diary of a Part Time Indian has generated resistance from parents for the issues it deals with and has been banned in schools or removed from libraries. But that only puts it in the company of other great books. It’s worth the read for kids and adults. If you’re working with a kid who doesn’t like to read, point this one out to them. 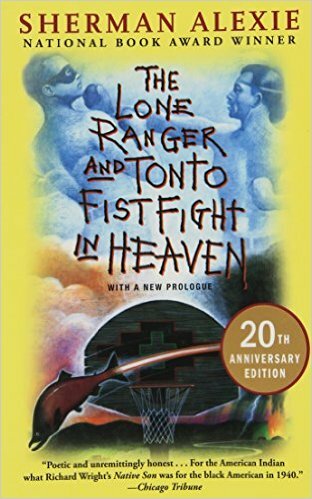 Tonto and the Lone Ranger Fistfight in Heaven is a collection of short stories by Sherman Alexie and was the source material for Smoke Signals. In text, the stories are more stark and depressing. But you also witness the prose that defines Alexie as one of the better writers of his generation and more than simply an excellent voice for Native Americans. It was 1 AM and I was working late, typing up an incident report in the office two hours after I should have gone home. The unit had been in chaos that evening: clients in and out of holds, running out doors, refusing to go to bed. We didn’t stay, of course. We couldn’t. We eventually left for greener pastures. The emotional fortitude to do this line of work exists in many people. But it must be nurtured, rewarded, and treated as an asset in order for it to grow. And when it does, so too will the quality of care in treatment facilities. From the Floor is an irregular feature of short poignant interactions, sometimes funny, sometimes sad. These are the conversations, this is what we witness when working in mental health. If you would like to contribute email: andre.alyeska@gmail.com. “Nathan” was a broad shouldered kid of 16 when I first worked with him. It was good to get him out of the unit and active, it took the edge off him. He was competitive, but a good sport, and enjoyed playing basketball and football. He was well liked by his peers. Nathan was also good looking, but didn’t seem to realize it. This last was good. There were girls who were interested. But girls in treatment, well, the kind that attempted to get his attention, are sexualized beyond their years and prone to unending drama. His apparent cluelessness saved him a lot of grief. Nathan was fairly high functioning, as compared to most of our kids. He focused on treatment and did not get sidelined by peer negativity. The obvious reasons for why he was here were persistent anxiousness and impulsivity that led to outbursts. These outbursts were usually limited to verbal disrespect and broken furniture, though he had been suspended from school a couple times. The thing is, though, we really didn’t see the verbal defiance. We saw a kid who responded well to structure and male authority figures. His father wasn’t in the picture. Nathan liked groups, participated well and really appreciated the white board. In residential treatment the white board has the day’s schedule, activities and appointments and is used to keep track of the location of clients and staff. The combination of groups and the visual organization of the white board can have a grounding effect on kids who lag behind their peers in areas of executive functioning or internal structure. This was really the case with Nathan. In fact, Nathan identified this as something that would help in the home. His Mom was willing to try this and bought a white board for when he arrived back home. A month after discharge we got a call from Nathan. He was upbeat and positive and reported he was doing well. They had hung the white board in the kitchen and were reviewing the day’s schedule each morning going over what he was responsible for, such as starting dinner or meeting younger siblings at school and walking them home. Mom said his school attendance was up and their interactions were much better. So, when Nathan returned to treatment about six months later it was a little surprising and discouraging to find out that while the white board had gotten broken, it then wasn’t replaced. Nathan was back, in part, due to the return of his old troublesome behaviors; getting escalated easily, not contributing in the home and school avoidance. The underlying problem was his anxiety for the unknown and a lack of structure. Both of those had been addressed by the white board. It wasn’t just the existence of the white board, but the family taking the time to utilize it and review what makes it on to the board. This external structure was a family routine that needed to be maintained. But the white board wasn’t replaced and the new, successful habit fell to the wayside. This illustrates the gap between what is identified and works in treatment and yet is not maintained in the home. It also is an example of a time where the parent has to be willing to step up and be an adult and change and lead by maintaining the tool or modality that is improving interactions. Resistance from parents to Collaborative Problem Solving is often the notion that they have to accept disrespect or non-compliance. This isn’t the case. But, what usually is the case is that parents need to modify their behavior as well. The parent of a child with Aspergers might have to greatly modify their tone such as eliminating sarcasm. A child who struggles with transitions might need more proactive discussions offering reminders and reassurances of what’s expected or on the schedule. And if a kid breaks the white board in a moment of frustration, when otherwise the family has been running more smoothly than in the recent past, you prioritize replacing it without attaching a consequence or trying to prove a point by holding it over his head. Changing habits and patterns in a family unit is hard work, takes time, and all parties need to be amenable to feedback and be willing to change. Not just the kid. Because if the kid is doing the work alone he won’t succeed and the family unit will continue to operate in crisis mode. He looked at me expectantly. What do you say in these instances? Where is the behavior modification? Another friend is moving on. When commenting on his frustrations in working at our facility he specifically pointed to the secure units. “It got to the point where I didn’t want to walk onto those units.” We both readily admit we work with the toughest children in the region. What was wearing on him was the high concentration of youth with incredible high-risk and anti-social behaviors. He spoke of other kids being exposed to this level of acuity and learning their behaviors. Just to be clear, the behaviors are purging, self harm and suicidal ideation. It was the type of conversation that wasn’t long but covered so much ground. We bemoaned the fact that as a culture there is a collective pat on the back for closing psychiatric hospitals and shifting so much of mental health care to outpatient services. Unacknowledged among the accolades of progress is the pressure to get kids stable and free up the bed. Many of our clients need long term care. Temporary stabilization isn’t going to do much for them if they return to the same environment without increased skills to manage they lives they were given. This happens again and again when kids return to our care after failing to reintegrate at home or adapt to foster placements or group homes. These kids aren’t going to improve without meaningful skill building. And this leads back to behavior mod. We simply aren’t doing it any longer. Staffing issues continue to impact the quality of care in mental health. 5 years, 1 year, 9 years and 2 years. There has been a rash of people announcing they are leaving. Some to other jobs within the organization (5 and 9). One to a better job outside the organization (2) and the other for relationship issues (1). Though behind each decision to move on lies a common undercurrent: exhaustion. We continue to lose quality people at an alarming rate. This in the face of a pay raise that was not insignificant (for me, who has been here 6 years, it was a $2 raise). In two years and entire team has been replaced. The truth is, however, the turnover is worse than that statement would indicate. A complete team rarely lasts more that three or four months. The constant churn of Staff is a persistent problem affecting the treatment we offer our clients and the morale of Staff. We are forever rebuilding teams and establishing working rapport. Working rapport is the ability to recognize the strengths and relationships of your team members and then be able to leverage them in working with clients. In treatment this also means creating the environment for consistent interventions. But if there is no working rapport, then we are reduced so much more quickly to crisis management. It’s not good. In one primary treatment modality, Collaborative Problem Solving (CPS), the goal is to work proactively with clients. But if we have no working rapport, our institutional memory suffers and our unit culture degrades. When floor staff lose the support of structure, we fatigue more easily, we become reactive and we slip into forcing expectations or dropping expectations. We move from proactive conversations to reactive solutions that frequently have little buy-in from clients and fail at building skills. And, for institutions who have been in the business for decades, we should be doing a better job, we should be better equipped to follow through on treatment plans. Outside of wholesale changes to how we fund mental health, I offer two. Perhaps the most important would be to view direct care positions like skills training and caregiving as careers rather than entry level positions. If we view direct care as a career, commensurate with a salary that paid a living wage, maybe we’d be valued beyond simply being necessary to maintain staffing ratios with a warm body. It’s not that our role isn’t appreciated, rather the praise and appreciation rings hollow. Health care is a hierarchical system to the extreme, we’ve simply got to value the bottom rung employees more than we do currently. We can do this by acknowledging that it’s not education so much that matters, but aptitude. However, it’s not just that we pay direct line staff better, we need a voice as well. Too often floor staff are given clinical directives and treatment goals with little regard to the practicality of what we’re being asked to do and how we manage people (both staff and clients). The tools we need in the residential setting, such as structure in the form of consistency of basic routines and expectations, are frequently undermined. It is often said that children respond well to structure, but it also supports us as direct caregivers. We have exhausting jobs, the unit’s culture needs to be maintained perhaps more so than any treatment modality. A huge part of the problem is when milieu management is directed by clinical theory without balance or voice given to practical concerns. Oh, and clinicians don’t always make very good managers of people. I was taking vitals on the military ward at my new job and had just gotten a reading on a young female patient. Me: Oh my, are you feeling ok? Me: You’re lying down but your heart rate is 105. Her: Well, I kind of just had a flash back. Her: But I’ve seen it before, and it didn’t bother me. Me: Yeah… but it’s different now. This was one of those moments in mental health that’s a little funny and a lot of sad. “San Francisco-based Trans Lifeline has collected an all-trans staff of volunteers who aim to make the crisis hotline experience more comfortable and accessible for trans callers.” Read here for the whole story. Trans Lifeline can be reached at 877-565-8860. For LGBT youth (ages 24 and younger) contemplating suicide, the Trevor Project Lifeline can be reached at 1-866-7386. The National Suicide Prevention Lifeline at 1-800-273-8255 can also be reached 24 hours a day by people of all ages and identities.